This group is a safe gathering place for highly sensitive people to receive support from other HSP’s who understand you. You’ll gain tools so you can be happier and healthier. You’ll be inspired by other high-achieving HSP’s personal and professional success. • What is an empath? • How do you set energetic boundaries so you’re not so affected by other’s emotions? • How can you use your gifts to help people in productive ways vs. unhealthy ways? • How do you know if you are feeling your own emotions or taking on someone else’s? • How can you stop taking too much responsibility for others’ lives? • What are some grounding tools so you can return to optimal functioning when you get overwhelmed? • Why is a daily self-care routine essential for highly sensitive people? When: Wednesday, April 10, 2019. 6:30-8:00p.m. This meetup group meets the 2nd Wednesday of the month, March-May 2019. RSVP: Register no later than 5:00pm the Friday before each meeting. Please send me your email address so I can send you travel instructions. Complete the Contact Page. Fee: $39 per meeting. Reserve your seat now. Space is limited to 8 people. If a meeting is full, you’ll be added to the waiting list. How to Register: Send a PayPal payment for $39.00 to Payments@EspositoInstitute.com. Add a note that you are registering for the HSP Meetup Group on 4/10/2019. Benita A. Esposito, MA, LPC is a holistic Licensed Professional Counselor, life coach, ordained minister and a Christian spiritual counselor. She earned a master’s degree in clinical psychology and has been practicing for 4 decades. She sees Highly Sensitive People (HSP) adults (individuals and couples) in private sessions in Sandy Springs and Blairsville, GA and via videoconference worldwide. 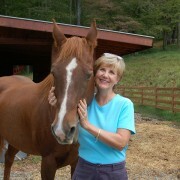 She also leads weekend retreats for highly sensitive people in the North Georgia mountains and at the beach. This story was written by one of my clients who chose to remain anonymous. I’ll call her Sally. Sally was a smart business leader whom people respected. She felt confident at work, but she had trouble forming fulfilling friendships. She felt empty inside. 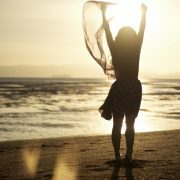 When Sally began the Deep Emotional Healing Retreat, she had no idea that her difficulty was rooted in unresolved trauma. This story illustrates how quickly transformation can occur when we do body-based emotional-spiritual healing. Breathwork accesses unconscious memories that rarely surface in talk therapy. That’s why breathwork is such a powerful therapeutic tool. For a long time, I had been living in my head and keeping my distance from people. I wanted to get in touch with my spiritual heart. My objectives for the Deep Emotional Healing retreat were to make a deeper connection with myself and others. 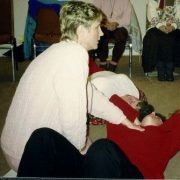 During the first breathwork session, I experienced pain and a tight knot in my pelvic area. It was so painful that I felt like I couldn’t breathe. Benita placed her hand on the spot, applied pressure and coached me to breathe through the pain. I realized that I was angry and agitated. The experience reminded me of the time when I was 20 when my ex-husband forced me to have an abortion against my will. I experienced great pain, guilt and grief from this experience. I am very angry with myself for allowing someone to have such control over me. Benita and I decided to have another healing session the second day of the retreat. This is what I experienced during the next breathwork healing session. We said prayers, played music and everyone sat close to me for support. I started breathing deeply and I felt the painful knot in my stomach. My body started contorting and I had to sit up. People laid their hands on me for support. I spontaneously shouted, “No, No, No! Leave Me Alone!” And then after a few minutes I screamed, “Help Me, Help Me!” I repeated these words over and over, feeling them deeply. This went on for a long time. Finally, I laid back down and I felt very calm and peaceful. Benita asked me questions about what happened. I said that I had wanted my daughter here with me in the physical plane. I always knew that this child was a girl. I felt like I was talking to my daughter on a spiritual plane. She explained that she knew that this pregnancy would not reach term, and that we were not going to be together on the physical plane. She said that she is always very close to me and does not blame me in any way. I felt very calm and peaceful after this experience. I had more insights about this experience during the following week. The feelings, sensations and words that I spoke during the healing session reminded me of another traumatic time in my life. When I was eight years old, I had open-heart surgery and was in the hospital for several months. It was a terrifying experience. To make matters worse, I was in a training hospital so each morning 10-12 doctors would come into my room. They asked me questions and took blood. I was under an oxygen tent and I would crawl up into the tent and tuck the corners under me. I screamed at them to go away and leave me alone. It was a very scary feeling of helplessness. It took many years to be able to go to the doctor and get a shot or have them take blood without getting scared and crying. During the breathwork session, I was curled up like I was in the oxygen tent. I screamed at them to leave me alone. I begged for help like I tried to do when I was eight. During both of these experiences, I felt great helplessness like I had no control over what was happening to me. But with Benita’s support and the help of the group, I was able to fully process the painful experiences and sensations. I was able to breathe through them and then my body finally released them. Immediately after the breathwork sessions and now a week later, the physical and emotional pain of these two traumatic experiences no longer haunts me. I feel a kind of inner peace that I’ve never known before. If you’d like to experience deep emotional healing, contact Benita A. Esposito for a complimentary 10-minute phone interview to see if her psychotherapy, life coaching and spiritual counseling is a good fit for you. You can experience rapid healing in the following retreats: highly sensitive person retreats, breathwork retreats and deep emotional healing retreats. View the Retreat Schedule: click here. Benita A. Esposito, MA, Licensed Professional Counselor credentials. 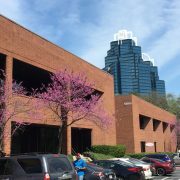 Offices in Atlanta (Sandy Springs) and Blairsville, GA. Distance counseling and spiritual healing is available via phone and videoconference from the comfort of your own home. Highly sensitive people (HSPs) often feel “different,” and in this case “different” means inferior. That’s a terrible feeling, and I want to help you change that experience. How many questions can you answer “yes” to? 1) Are you a highly sensitive person (HSP) who feels stressed when there’s too much to do? 2) Are you a smart high achiever who has struggled with anxiety or depression? 3) Do you feel compelled to do your best? When someone criticizes you, does it sting? 5) Do you find yourself wanting to please people to avoid conflicts? 6) Do noisy crowds, time pressures and brash people stress you? 7) Are you an empath? When others are angry or sad, do you have trouble remaining centered? 8) Do you tend to lose yourself in relationships? 9) Have people taken advantage of your compassion without returning your kindness? 10) Does your heart ache when your loved ones won’t emotionally connect with you? 11) Have emotionally abusive relationships left you exhausted? 12) Is it difficult to take time for daily meditation, exercise and to prepare healthy food? If you see yourself in these questions, you are not alone. Attend this Meetup group and get acquainted with other like-minded HSP’s who understand you. Who’s Invited: All highly sensitive people. Myers Briggs profiles INFJs, ENFJs, INFPs, ENFPs, introverts and extroverts. When: 2nd Wednesday of the month. 6:30pm-8pm. Attend one or all meetings. Arrive 6:00 – 6:15pm to allow time for the registration process and to mingle. 1) Wed., March 13, 2019. HSP Strengths and Struggles. RSVP by 3/8/2019. 2) Wed., April 10, 2019. How to set energetic boundaries to protect our empathic nature. RSVP by 4/5/2019. 3) Wed., May 8, 2019. RSVP for Meetup #3 by 5/3/2019. Mark your calendar now. There will be no refunds after the RSVP date. • Manage your strong emotional reactions. • Create a self-care program for work-life balance. • Develop assertiveness so conflicts don’t overwhelm you. • Identify and stop codependent relationships. • Set boundaries so you don’t take on other’s emotions. • Discuss the components of healthy emotional intimacy. • Meditate to reduce anxiety and increase spiritual intimacy. • Cultivate inner dialogues to develop self-compassion. • Design a fulfilling career and a peaceful home. Where: My office. 5885 Glenridge Drive, Suite 130. Sandy Springs, Georgia 30328. Plaza 400 Office Park. Drive to the building in the very back of the complex. Our entrance is next to GA 400. Registration. Space is limited to 8 people. • Make a PayPal payment for $39.00 to Benita@EspositoInstitute.com. • RSVP and payment are required no later than 5:00p.m. the Friday before the Meetup. If you would like to attend this “Smart HSP High Achiever” Meetup, complete the Contact Form at SensitiveIntrovert.com, and I’ll get back to you. If you don’t hear from me within 48 hours, call me. There may be a glitch in the system. If a meeting is full, you’ll be added to the waiting list or you may request a full refund. Or you may apply your fee to a future meeting. 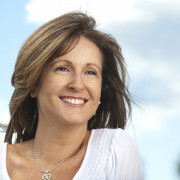 Facilitator: Benita A. Esposito, MA is a licensed professional counselor. Click here for credentials. 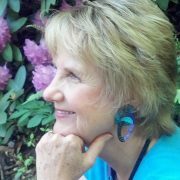 Benita has passed an exam by Dr. Elaine Aron to counsel and provide life coaching for HSP’s. Click here to watch my Book Video at www.SensitiveIntrovert.com. If you have a romantic relationship, I pray blessings over your bond that it may blossom in joy and vitality. If you don’t have a romantic relationship, I pray blessings over the loving relationship with yourself. It’s impossible to have a healthy relationship without this. Here’s my Valentine’s wish for you. I know life is not always easy. You have plenty of growing pains and challenges. I bless you with the ability to feel how special you are, whether you are in a relationship or not. May you feel connected to your spiritual heart. I bless you with the ability to see your relationships from the highest perspective. May you feel so filled by God’s love that it’s easy to let go and forgive. May the boulders be removed from your path. May all your wounds be healed. Remember when you were a child? There are 35.6 million children in prekindergarten through 8th grade in the United States. Many of them will be giving Valentines to their families, classmates and teachers today. That is a wonderful tradition, don’t you think? Take a moment and send a Valentine to your friends and family, just like you did in grade school. Tell them how much you appreciate them. Their hearts will open and so will yours. • I love the way your eyes sparkle when you laugh. • When you giggle like a teenager, it tickles my funny bone. • You are such a good listener. I feel known and loved by you. • You’re one of my best cheerleaders. Thanks for encouraging me to shoot for the stars. • You open my eyes in gentle ways to help me see my blind spots. • You always want the best for people. You help me stretch when I feel tempted to settle for less. • You are a dedicated provider. Thank you for helping take care of our material needs. Reach out to single people. They may feel lonely. Guess how many singles there are in the U.S.? • 110.6 million people were unmarried. • This group comprised 45.2 percent of all U.S. residents. 53.2% were women. 46.8% were men. • 63.5% had never been married. Another 23.1 percent were divorced and 13.4 percent were widowed. Think of one more person who needs your love and compassion today. Write to them. Help the light shine even more brightly on this Valentine’s Day. If you would like to strengthen your relationship(s) or the loving relationship with yourself, I’m here to help. I offer individual and couples spiritual counseling and life coaching in the office or via phone or videoconference from the convenience of your home. Complete the Contact Page. https://sensitiveintrovert.com/wp-content/uploads/2019/02/Valentines-Day-MorgueFile-free-13911142564zzxe.jpg 348 620 benitaesposito https://sensitiveintrovert.com/wp-content/uploads/2016/01/logo05-300x143.png benitaesposito2019-02-14 10:34:552019-02-14 10:35:36Happy Valentine’s Day! Do you have a relationship that you would like to improve? Most of us do. How’s the quality of your romance? The relationship with your parents? Your children? Your co-workers? Your friends? Research reveals that the quality of our loving relationships is the single biggest predictor of our happiness, physical health and emotional well-being. If you’re in a dysfunctional relationship, you’re more likely to develop a serious disease within four years. Also, you are likely to die four years earlier. Emotional anguish and stress affect our bodies. NOTE: Do not download the podcast. It is a giant wav file and will take up tons of data on your computer or device. My dear friend, Dr. Cindy Libert, interviewed me for the podcast. She is a holistic integrative medicine physician in Asheville, NC. The podcast is 23 minutes long. Dr. John Gottman’s research found that our romantic relationships have a 93% probability of ending if we use five specific behaviors. Ninety-nine percent of the couples who walk into my office use these five hurtful behaviors. I’ll explain what NOT to do so you don’t unknowingly damage your relationships. The good news is that we can change our destructive habits once we become aware of them. Can damaged relationships be repaired? The good news is, “yes.” Even when there’s been an affair, 73% of marriages become healthy with Gottman Couple Therapy. If you are a highly sensitive person like I am, it’s even more important to learn this information. Why? Because unresolved conflicts hurt us even more. If you aren’t a highly sensitive person, no worries. You will benefit from this podcast too. Listen to the podcast, and please share it with your friends and family. Remember, this information can be applied to any kind of relationship. If every person used these skills, we all would be much happier. That’s what I want for you. Are you serious about getting help for your relationship? Join us for the Valentine’s Couples Retreat. Look for the Early Bird discount. Click here to view the Events Calendar for updates. 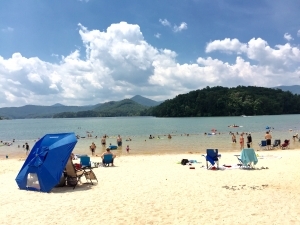 Venue: Young Harris, Georgia, USA. 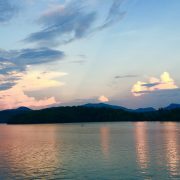 Overlooking the beautiful Blue Ridge Mountains and Lake Chatuge. Contact me for a complimentary 10-minute phone interview to see if we are a good fit for this retreat or for private counseling sessions in-person, video-conference or phone. Have you ever been told you are too sensitive, just get over it? Do you have intense emotions that fire rapidly and last longer than other people’s? Do you become overwhelmed by conflict and aggressive people? Do you feel distressed when you have too much to do in too little time? 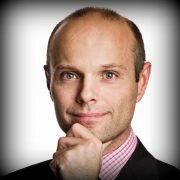 Do noisy crowds and social chit chat at networking events irritate you? You may be a highly sensitive person. Take the quiz. This retreat is a safe place for Highly Sensitive People to do deep emotional healing and excavate their Authentic Self. All Highly Sensitive People are welcome in this retreat … if you are an introvert, extrovert, or an ambivert. I’ll help you understand the highly sensitive person trait so you can increase your self-worth and confidence. I’ll help you enjoy more fulfilling relationships and create your career so it is an expression of your soul. Do you want to know more before applying for this retreat? You may read my personal stories, trials and triumphs around being a Highly Sensitive Person in my book: The Gifted Highly Sensitive Introvert. Click here to Buy it on Amazon. A new personality type emerged from Dr. Elaine Aron’s groundbreaking psychological research: the Highly Sensitive Person (HSP). I particularly love counseling and coaching highly sensitive people because I am one. Only 20% of the population is highly sensitive. That means 80% of the population is wired differently than we are. No wonder we feel misunderstood. Click here to read my personal story about being a Highly Sensitive Person. Conscientious and responsible, we are deeply moved by the beauty of Nature and the arts. We are touched by the feelings of those around us. We’re troubled by conflict, and we want to decrease the violence in a world. Our intuition tells us what needs to be done to help people feel comfortable, and we truly want what is best for everyone. Sometimes we can predict the future. We easily seeing outcomes that others can’t see. We love deeply and passionately. When emotional intimacy is combined with sexual intimacy in a loving healthy committed relationship, there’s nothing better. We are happy and our creative juices are set free. A world filled with harmony, mutual respect and creativity sounds just right to us. It’s easy to feel what other people feel, and we can understand people at depth. But, we may feel like we are losing ourselves in a relationship, especially if people don’t nurture us in return. Some of us highly sensitive people actually take on the pain of others, which helps them heal, but leaves us exhausted. If you have this type of sensitivity, you are an “empath” like I am. Before we understand this about ourselves, we may not know that we are taking on emotions that belong to others. Because we are so sensitive, we need to have daily relaxation just to stay centered. We need to meditate to restore our inner peace and regain energy. In a world that values high productivity and undervalues naps, HSPs can get burned out if we don’t take a stand for good self-care. That includes healthy food and exercise. Some of us have trouble standing up for ourselves because we are so empathetic to the discomfort of others. We want to please others to keep the peace. Or, ironically, we can get harsh and aggressive if we have not yet mastered the art of setting boundaries in a tactful way. We can feel like a ball tossed around on turbulent ocean waves, unable to find a stable base inside ourselves. We might try to get family members to change so we can feel calm inside. But it rarely works, even though we may use that approach for years before we become exhausted. We need to commit to cultivating inner peace no matter what is happening on the outside. Too much stimulation from the environment stresses us. We’re like cats whose sensitive whiskers and ears that sense tiny movements all around us. We tend to be light sleepers and insomnia is common especially when traveling and sleeping in strange environments. Anxiety and depression are familiar especially if our loving relationships are not nurturing for us, or if we grew up in a dysfunctional family. Odors and chemicals that don’t bother 80% of the population. Highly sensitive people need authentic, genuine emotional connections more than most people. We feel empty inside when we don’t get it. There’s a deep ache. We need quiet time to go inside. Our spirituality is important to us. We need to learn how to regulate our emotions when we’re stressed. We need beauty. We need to meditate. We need to slow down. We need to be creative. We need help to learn how to manage our highly sensitive qualities. We have incredible gifts to help people and to make the world a better place. We are counselors, healers, artists, writers, philosophers, teachers and pastors. We facilitate healing for people, and we understand people at depth. We’re intuitive and spiritual. We must take good care of ourselves, or we have a high price to pay, higher than most. When not balanced, we get irritable, sick, exhausted, anxious, depressed or feel physical pain. Like Goldie Locks in the story of the three bears, we like our porridge not too hot, not too cold, but just right. Breathwork is one of the primary transformational healing process used in this retreat. It’s intense and deep so you’re likely to experience impressive results. We work directly with the body to access emotional memory, sometimes as far back as in-utero and infancy. We want to heal the very beginning of life-long patterns so you can be free. Please read all these articles before applying for this retreat. Attend a minimum of three private sessions. There is an additional fee for these sessions. We can meet at my Atlanta or Blairsville, Georgia office. Or meet via phone or videoconference. Read all the Breathwork articles above. Location: Young Harris, Georgia. Overlooking Lake Chatuge and the Blue Ridge Mountains. Two hours from Atlanta, Chattanooga and Asheville. Please be flexible on the ending time to accommodate the needs of the group. We will take one long break during the afternoon to walk at the lake, meditate, nap or deepen friendships. It’s your choice. Register Now: This is a small group so you will get plenty of personal attention. Space allows for 6 people. Pre-requisite: Minimum of 3 private sessions. Click here for a list of Lodging and Restaurants. Contact me, Benita A. Esposito, MA, Licensed Professional Counselor, for a complimentary 10-minute phone interview. Facilitator: Benita A. Esposito Credentials. Masters degree in Clinical Psychology and four decades experience. P.S. If you’re interested in receiving individual counseling or life coaching … in-person, on the phone, or via videoconference … you can start by contacting me for a complimentary 10-minute interview. I’m happy to help! All refund requests must be made via email. Complete the contact form. • 30 or more days before the retreat, there will be a full refund minus a $50 processing fee. • No refunds 0 – 29 days before the retreat, but you may apply your fee to private sessions or another retreat within 1 year, minus a $50 fee. 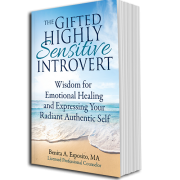 I’m excited to announce the debut of the paperback version of The Gifted Highly Sensitive Introvert: Wisdom for Emotional Healing and Expressing Your Radiant Authentic Self. It is my memoir and teaching stories to guide highly sensitive introverts on the journey to the Authentic Self. The eBook version launched 10/16/2018. Amazon awarded it the Bestseller banner in 9 categories during the first week. Amazon began posting the #1 New Release banner for the paperback version in 8 categories on 12/3/2018. If you ever wanted to achieve a cherished goal, but you doubted you could do it, you’ll be inspired by my story. Most of the time my book sells more copies than When Bad Things Happen to Good People, The Dalai Lama’s Book of Wisdom, and the Whole-Brain Child which was written by one of my teachers. I thought that if my book received the Bestseller banner, tons of other books must, too. But that’s not the case. Brian Berni, who manages my Amazon ads, explained that it’s rare for a book to become a bestseller. There are 4 million eBooks on Amazon. My eBook ranked #3,305 during the first week. That means that only 3,304 books sold more copies. Brian says that he’s happy if a new book ranks 20,000. It’s excellent if a book ranks 6,000. But it’s absolutely amazing for a book to rank 3,000-4,000. Especially for a first-time author who doesn’t use much social media or have a big platform. How did this success happen? For years I had hoped that I could write a bestseller, but it seemed like a pipe dream. It took me two years to write this book. I didn’t feel confident while writing and publishing my book. I changed the title a thousand times. I fretted over learning the technology required to publish and advertise a book on Amazon. There were hundreds of things to study and memorize. But week after week I learned. I didn’t study writing in school. I’m not an English major. I enrolled in an adult education course on writing once, but I quit the first time the teacher criticized my work. Highly Sensitive Introverts feel stung by criticism. I have dyslexia so I read slowly and I don’t like to read much. Most writers are readers. Not me. • what writing style to use, and how to edit it. • which self-publishing school to choose. I found several schools that cost $20,000. I refused to spend that kind of money. • which sub-contractors to hire for editing, proofreading, cover design, formatting, copywriting the book description and ad management. • I asked for prayer support. One of the women on the prayer team at my church crocheted a white loose-weave scarf with a tiny cross embedded in it. That scarf hung around my neck 24 hours each weekend while I wrote for 20 months. • The Holy Spirit sent angels who lifted me up. I acknowledge them all in my book. I did my best to follow instructions from the Self-Publishing School (SPS) founded by Chandler Bolt. He and his staff have the highest integrity. My book coach, Marcy Pusey, was perfect for me because she is a highly sensitive person, too. She deeply understood me and she was so warm-hearted that I was moved to tears. I had tons of questions and I didn’t hesitate to ask every one of them. The SPS online community is warm and friendly. They provided the support that I needed to keep putting one foot in front of the other, especially when I felt discouraged. *** If you would like to join the Self-Publishing School so you can learn how to write and publish your book, shoot me an email. I’ll arrange for you to receive a sizable discount. I knew I could write my book. But, I also knew that if I didn’t learn how to market it well, few people would find it. My goal was to reach masses of people to help improve the quality of life on the planet. The Gifted Highly Sensitive Introvert eBook sold 849 copies in the first month. Some books don’t sell that much in their lifetime. I hope that the release of the paperback will catapult sales. I had no idea that my book would become a bestseller. None. But now, my confidence is growing. I can look back and understand what I did to create a bestseller even though I was a first-time author, a babe in the woods. I hope you feel encouraged by my story. If I did it, you can do it. My book coach told me that 80% of people want to write a book, but only 2% actually do. All sorts of things occur to help one that would never otherwise have occurred. A whole stream of events issues from the decision, raising in one’s favor all manner of unforeseen incidents, meetings and material assistance which no man could have dreamed would have come his way. Here’s to your success in achieving your most cherished dreams. Hop on over to Amazon, and buy your copy of The Gifted Highly Sensitive Introvert. Buy a copy for your sensitive friends and for the family members that you want to understand you. I’d appreciate it if you would write an Amazon review because great reviews boost the rank of the book. Then more sensitive introverts will find the help they need. Please share this notice on your social media sites. Author: Benita A. Esposito, MA, is a licensed professional counselor, life coach and spiritual counselor. Contact her for a complimentary 10-minute get-acquainted phone chat to schedule a coaching session to catapult your success as a sensitive introvert. Click here to visit the Book Page for The Gifted Highly Sensitive Introvert. This story was written by one of my clients. I have worked with Benita Esposito for 10 months. I have done both personal counseling as well as incredible couples counseling with my husband. I’m so grateful that I accepted her invitation to attend a Deep Emotional Healing Retreat that included breathwork. I was apprehensive. It seemed a little unnerving to not have control over the outcome, or know what would come up during breathwork, but I enrolled anyway because I trusted Benita. I’ve had a life-long insecure attachment style that has impacted all my relationships, including my marriage of 17 years. One psychotherapist suggested that I do a year of CBT (cognitive behavioral talk therapy) and start on an anti-depressant. I knew deep in my soul that what I needed was healing on an emotional level. My birth mother died when I was barely two years old and my father remarried four and a half months later. I had been the third of four in my family, and then overnight I had three older stepsiblings, so I became number six of seven. My birth mother was very sick during my first two years of life, and she also had another young baby. So you can imagine that getting individual loving attention from her might have been challenging. I was often cared for by aunts and grandparents before my birth mother passed away. My stepmother was not a nurturing woman. In fact, she was either mildly or extremely abusive during my childhood. The abuse included verbal, emotional and physical aggression. The verbal abuse lasted until I was 40 when I finally began to stand up for myself. Needless to say, I was not “attuned” with my stepmother when I was growing up. I still call her weekly and do my best to care for her. I do this out of love for my deceased father and my commitment to being a Disciple of Christ, not out of a great love for my stepmother. I have grieved for years about not having a deep mother-daughter relationship. From the beginning of my 17-year marriage, I tried to develop a healthy loving bond with my three stepchildren. They rejected me from the very beginning. Even though we had lots of counseling with other therapists, I continued to feel very vulnerable and emotionally unsafe with my husband and his children. I’m sensitive to criticism, and triggered when I feel emotionally abandoned. My husband’s family has told me that I am touchy and defensive. The optimist in me kept thinking, “If I can’t have a loving attachment with my stepmother, maybe I can have one with my stepdaughters.” Fortunately, God does compensate, and I have a daughter-in-law that I’m very close to, as well as other young women that are open to the love I have to share. My overall goals for the retreat were to develop a deeper relationship with all my stepdaughters, to heal my feelings of abandonment, and to finally earn a feeling of secure attachment. My focus during our first session of breathwork on Saturday was to (1) heal the grief of my mother’s death, (2) heal the hurt of the childhood neglect and abuse, and (3) heal the grief of my father’s sudden passing when I was 35 years old. I was surprised at how quickly I began to cry, but this was no ordinary cry. The crying turned into vigorous sobbing that was loud at times. I am still amazed at how much grief came out of my body. I cried for almost an hour! At one point, I was grieving the absence of my mother’s loving embrace. I could not remember ever having a loving embrace. Oh how I wanted to feel that! The intensity of the ache was more than I can describe. Just then, Benita knelt next to me, and reached down and hugged me, heart to heart. I sobbed and sobbed in her loving embrace. I think she must have held me for ten minutes. She hugged me until I could finally take a deep breath. Then she released her embrace, as I did. When we finished our breathwork session, I was filled with extraordinary love and peace. I was overwhelmingly grateful! I felt so known and loved by my Heavenly Father. I felt so known and loved by my Savior. I felt so known and loved by the Holy Spirit that He directed Benita to embrace me exactly when I needed it. This was a life-changing embrace!!! I am forever changed!!! My heart had been occupied by grief, but now it was open, ready to enjoy deeper loving relationships with those around me. On Sunday, round two of breathwork started. I quickly found that there was nothing to clear. It was all gone! The image of a fire truck came to my mind. I know that may seem weird, but it was as if it required a huge fire hose (not a small garden hose, or even a pressure washer) to aggressively wash away all the grief on a deep cellular level. I knew that my healing was complete. In fact, the message I got was that I was now “whole and complete”. A few days after the retreat, I had a phone call with one of my stepdaughters to clear up some things that had happened months before. I’m so grateful that I could start the conversation by sharing with her that I had completed my grieving, and that I now had a greater capacity to love her. During the conversation, I allowed her to share anything that was upsetting her so I could apologize. The best part was that I did not get emotionally activated at all! I could see her points, and commit to creating a deeper partnership with her. In the past, I did not have the capacity to do that because there was way too much hurt inside of me. How grateful I am for Benita’s exquisite expertise and her powerful intuition and caring Christian heart that facilitated such profound healing. In addition to Benita, I found the other participants to be loving and wonderful as well. It was a powerful, safe, beautiful environment to have such a healing experience. Forever Grateful and Forever Healed. If you would like to schedule a complimentary 10-minute get-acquainted call to see if Life Coaching and Spiritual Counseling with Benita A. Esposito are a good fit for you, please complete the Contact Form. You should receive an email within 48 hours. This is chapter 5 in my book, The Gifted Highly Sensitive Introvert: Wisdom for Emotional Healing and Expressing Your Radiant Authentic Self. Search for my ebook and paperback book on Amazon and click the “Look Inside” button to read the first several pages of the book. You can buy it on Amazon.